You’ve heard it all before, “this is the best bar ever!” Well, I kept hearing hype from friends via Facebook that there was an incredible new bar opening in Washington DC. The funny thing is that they live in Chicago. Now if this was two old drinking buddies or acquaintances from a miserable trade show I would have discounted it but they are not that. They are well-known scotch aficionados and their words were well counted. 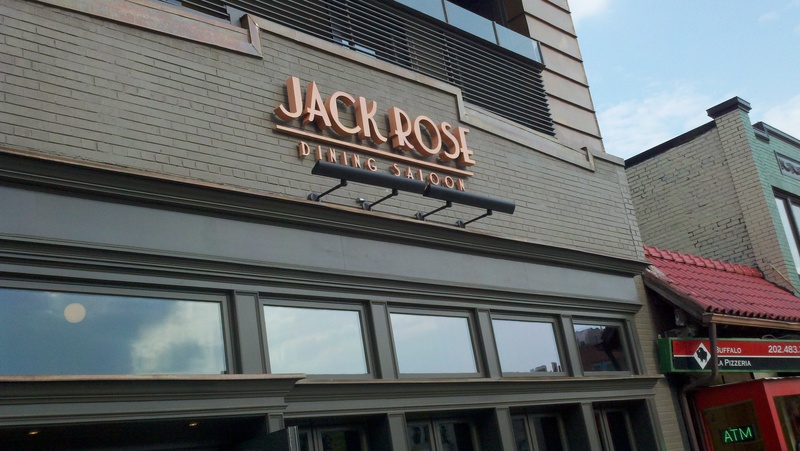 I came to Jack Rose on a mission of sorts, to find out if this place “lived up to the hype.” I picked a Friday afternoon to venture down Connecticut Avenue and hit a liquor store that had the last remaining (and only) bottle of 21 year Fine Oak Macallan. This was already a good start, if you can call dropping $200 on a bottle of scotch bliss. So Jack Rose had to deliver. When you walk into the aged structure it just feels like a place you belong. Unpretentious yet structured and cleanly laid out. 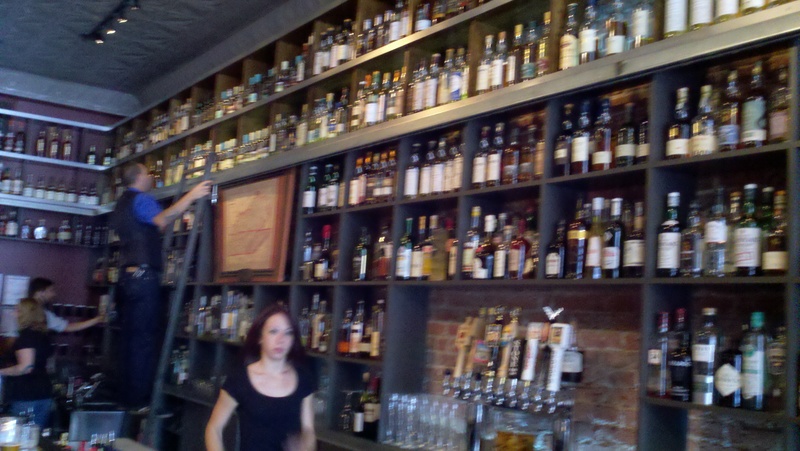 And then it happens, your eye gaze is taken up into a dizzying array of over 1000 bottles of whiskey. What was most complexing and almost unbelievable was the true amount of scotch. No, not airplane scotch or scotch you had at the bar last night. Rare scotch, unknown scotch and if you are a connoisseur of the single malt a smile fights its way up to erase the thought that you have walked into “another bar” that will disappoint. And yes, there is a heaping variety of Bourbon also and very fine select micro-brews on tap. Truth is, this place is growing daily in spirits. I believe they have surpassed the 1400 bottle mark. I was quickly helped at the bar by polite and polished servers. I walked up and down the walls two, three times before I settled on a 17 year Bowmore. It was incredibly good. Fact is, I have found a bar that I could go to constantly and always get something new to drink. How many places are there like that? I’ve never seen one. The food menu is well done also. I ended up there for quite a while talking with the owner and other scotch enthusiasts and ordered pretty much the whole “starter” menu. It was all outstanding. If the downstairs isn’t enough, there is a wonderful upper level that has another bar and a grill that will serve you freshly cooked bar foods while you watch and mingle. This level also is going to sport a cigar humidor and because it is open air even the DC government will allow it. My conversation with the owner Bill Thomas was long and entertaining. Bill showed me the place and the “private” bar that will be used for those who want some privacy to drink their favorite drams while the rest of the place is caught up in the din of a busy night of revelry. Bill was kind enough to share several rare drams with me and a few others and we spent a substantial amount of time with his good friend Harvey Fry who is nothing less than a sage of scotch. I do think this man has forgotten more, if that is possible, about scotch that I will probably ever know. So really, for me, it’s hard to get excited about a bar anymore. Jack Rose has changed that, permanently. I have to say, this is the best bar ever! And you will find me there on occasion, you can count on it. Here are a few of the whisky’s I had. Pretty sure I found it at Calvert Woodley. I haven’t seen a bottle in DC, VA or MD since then.